We love family game nights at our house. When you don’t have TV you sometimes have to come up with your own entertainment – which is wonderfully fun! Our kids each have a current favorite game and mom and dad have a favorite too! 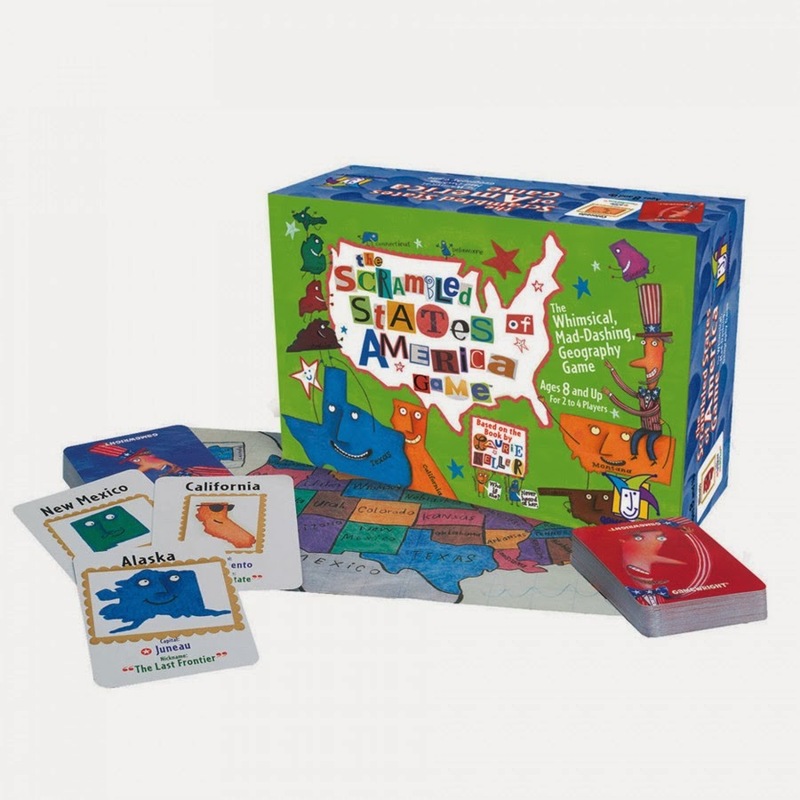 Curly loves this game with state identification, state facts, and state capitals. The other kids need quite a bit of help to play (some reading skills are needed). But we have lots of fun calling out state capitals or state nicknames to see who can win the most state cards. Yes, we love the adult version. 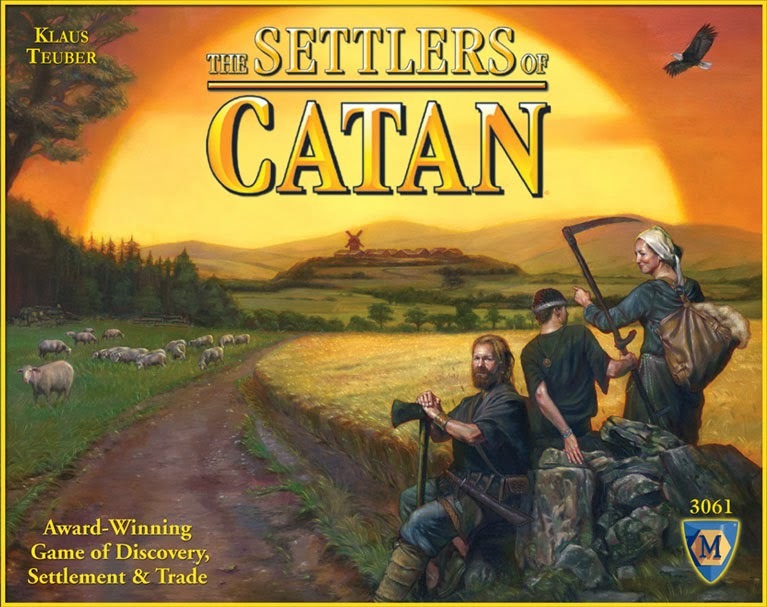 Tiger loves this game – he especially loves to collect all the special cards that he buys from the “bank.” We set up on teams and gather resources to build roads, settlements, cities, and try to be the first to earn 10 points. This is one of our family favorites! 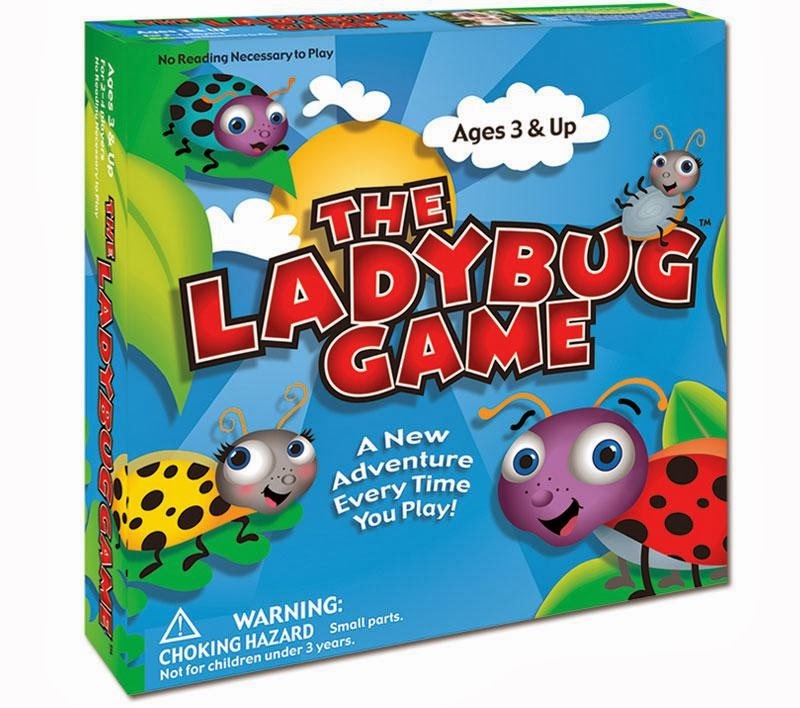 Bee loves to play this game and collect little aphid cards to get past the ants at the end of the game. This is such a simple and fun game for the little ones and no reading is required. The kids often play this one on their own. Your hungry squirrel tries to collect some winter food and storing one acorn of each color in a little log cut out. 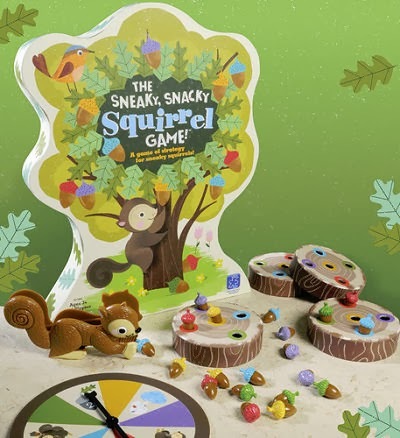 You spin the spinner and then use the squirrel tweezers to grab the correct color acorn. I think Ladybug just likes this game for the little squirrel tweezers – she has a hard time sharing them! My husband taught me how to play Canasta and we’ve become quite competitive. This is a simple card game in which you try to collect two sets of the same card number. We have late night card battles and my husband is quite proud that he rarely loses. Although, he has never beat me at Catan so I guess we’re even! We enjoy family game night several evenings each week! 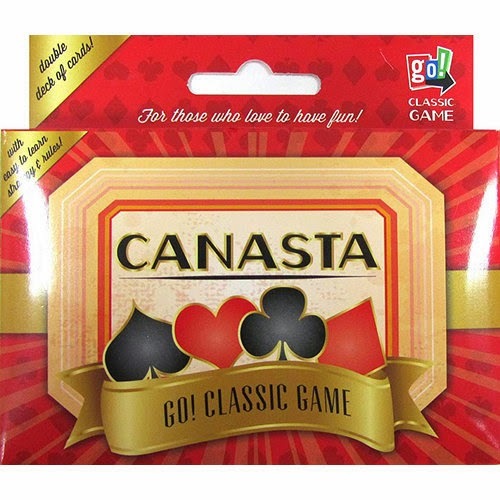 Do you have favorite games in your family?